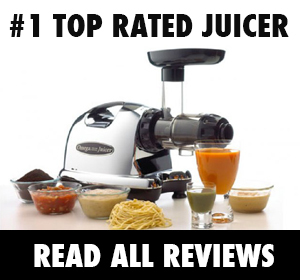 So you've come to join the ranks of people looking for the best masticating juicer reviews. Welcome to the club and you should know that you're in good company. Single gear masticating juicers are relative newcomers to the juicer world but they've quickly risen up the ranks to become the preferred choice of juicer (machine) for oh, so many juicers (people). Well, it comes down to the fact that masticating juicers fill in the gap that the other juicer types miss. You see, the other popular juicer types are centrifugal juicers and twin gear (triturating) juicers. When you think centrifugal - think fast, easy and convenient. Juice that's subjected to heat. High speed = heat, which causes oxidation which in turn kills some of the live enzymes in fresh juice and results in frothy/foamy juice. When you think triturating - think slooooow (not slow. sloooooow.) and thorough. Price - yea, these babies start at around $500 and only go up from there. ​As you can see, centrifugals are kind of like fast food restaurants whereas triturating juicers are like fine dining establishments. But what if you just want a happy medium? That is where masticating juicers come in. Masticating juicers are the perfect compromise. They have the benefits of triturating juicers - they can juice pretty much everything (even greens) and offers slow juicing (typically around 80 RPM) which means very minimal heat and oxidation - as well as the perks of centrifugal juicers - they're not too bulky (less than 20lbs), don't take too much time to clean, and come with a much more affordable price tag. That's why masticating juicers are my top recommendation for pretty much everyone who's looking for a great, everyday juicer machine that can produce top quality juice from a wide variety of produce and last a long, long time. If that sounds like you, follow along as we go over how masticating juicers work and which models are the best! How Do Masticating Juicers Work? 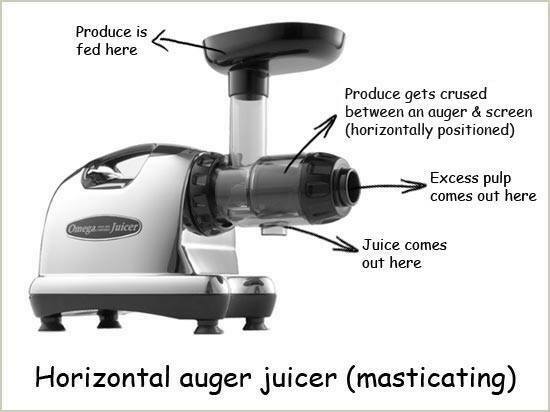 Masticating means 'to chew' - which is an apt description of how a masticating juicer works. You see, what differentiates masticating juicers is the use of a single gear (or auger) which slowly rotates with blades that thoroughly crush the cell walls of fruits and veggies, extracting fresh juice in the process. This unique crushing mechanism is why masticating juicers can effectively juice ​a huge range of produce - including delicate leafy greens. While centrifugal juicers literally "spin" the juice out of produce, which is great for denser fruits and veggies but unable to capture light-weight greens - the slow-turning gear of masticating juicers thoroughly crush whatever goes through it, including light, delicate leafy greens. Not to mention that the crushing process is also a really effective way of breaking down the hard, fibrous cell walls of fresh produce - which is crucial since it allows extraction of every last drop of juice and nutrients from the fruits and veggies your juicing. But the best thing about masticating juicers is that it works at superbly slow speeds. Most masticating juicers operate at around 80 RPM - compare that to the 10,000 RPM of centrifugal juicers! This speed factor matters because high-speeds = heat. And 'though the speed might be convenient, it's not good news if you're looking for high juice quality since heat causes oxidation which kills the live enzymes in your juice, diminishing overall nutrition and juice quality as well as creating a frothy/foamy juice. You don't get these problem with the slow-press method of masticating juicers. The oxidation that occurs in the juicing process also means that the juice won't stay fresh long - that's why it's recommended you drink the juice made from centrifugal juicers within a few hours whereas juices made from some masticating juicers can last as long as 72 hours. Versatile. Centrifugal juicers are best for juicing harder produce and not so great for delicate leafy greens or juicy fruits. Masticating juicers can juice anything and everything including hard, fibrous vegetables such as celery as well as leafy green like wheatgrass, and soft fruits like tomatoes. Less waste. You get high juice yield and dry pulp, meaning less of your produce is going to waste. Multi-functional. You can do tons of other things - like nut butters, sorbets, and even baby food. No heat. Low motor speed means less oxidization which = less foam and more nutrients. Lasts forever. These juicers last a long time, mostly because they run on lower power and lower heat - two things that age a juicer. 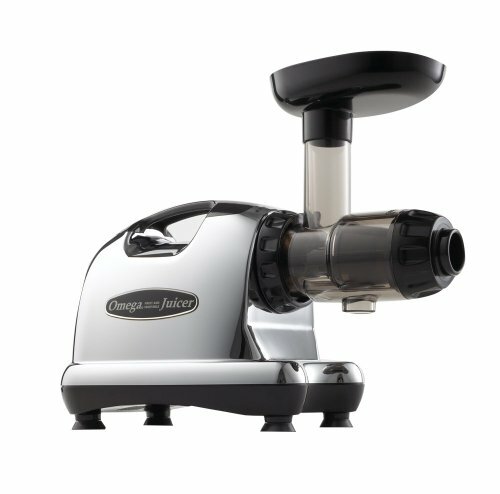 Most also come with a long warranty (Omega juicers usually have a 15-year warranty and the Champion comes with a 10-year warranty but tends to last like, 30 years). Quiet. You can juice without waking everyone in the house. Price. Masticating juicers are usually pricier than centrifugal juicers, although this is not always the case (some centrifugal juicers can be pretty expensive). A good masticating juicer usually runs from about $250 upwards - the best ones can be bought for around $300. It's worth the upfront investment, though, when you consider that these juicers last decades and they extract more juice out of produce, saving you money in the long run. Heavy. Weighing in at around 20 lbs, these do not make the best portable juicers. If you're looking for a travel juicer - get a manual one! Time. These juicers operate at around 80 RPM so juicing's slower than with centrifugal machines. Also, whereas you can toss in whole carrots and apples into centrifugal juicers - you'll have to take the time to chop your produce into smaller pieces when using masticating juicers. That being said, these slow juicers aren't really that slow - you'll still be done in like 10 minutes or so. This is the best-loved masticating juicer and not just by me - it's got around 2000 reviews on Amazon with a rating of 4.6 out of 5 stars. Which is awesome but not surprising considering this is a top quality juicer at a really affordable price (even compared to centrifugal juicers) - at $290 on Amazon. 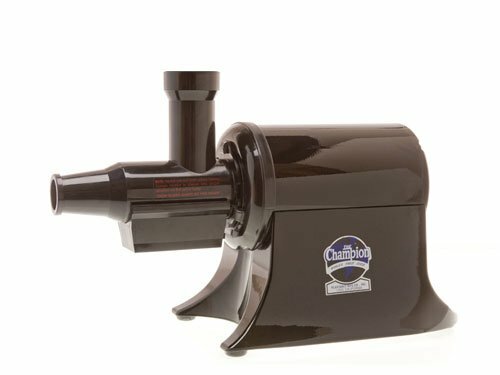 ​This juicer is as "slow juicer" as it gets, working at 80 RPM to "squeeze" out a really high juice yield without foam, heat, or oxidation to maintain the natural nutrients in the produce. It's also quite easy to use and to clean. A big plus - it operates quietly. The one drawback to this juicer is that you have to cut up the produce into smaller pieces before feeding them through - something you don't really have to do with centrifugal juicers. See it in action below! Hurom juicers are less well-known than the popular Omegas, but they hold a special place in my heart - mostly because I find them super easy-to-clean and capable of extracting more juice from the same kinds of produce. Like the Omegas, the Hurom slow juicer works at 80 RPM with a patented Slow Squeezing Technology that gently squeezes rather than grinding and crushing to preserve nutrients in fresh produce. This technology also retains heat-sensitive nutrients like Vitamin A and C as well as live enzymes. The Hurom slow juicer is not cheap - at around $300 - but it will last a long time. Both the auger and the single strainer are made from extremely durable ULTEM plastic, which is eight times stronger than most plastics, and the motor comes with a 10-year warranty. Oh, and the plastic parts are BPA-free. 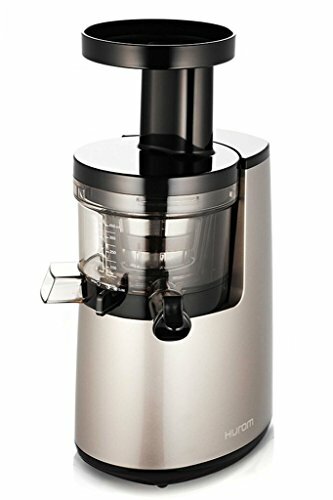 Get FREE 2-day shipping for this juicer (as well as a bunch of stuff you buy on Amazon) by signing up for Amazon Prime. Get a FREE 30-day trial for Prime here! These juicers have been around forever and last forever. Seriously, a Champion is forever. At $300 on Amazon, it's a little pricier than the Omega but still not terrible. Champions also come with a 10-year warranty and tend to last much longer than that. The biggest drawback of this juicer is that it can't juice wheatgrass, but it is good for juicing other leafy greens as well as pretty much every other fruit and veggie. Just keep in mind that leafy greens should be alternated with harder produce like carrots and apples to help "push" the greens through. The Champion has the same drawback as most masticating juicers - you do have to chop produce into smaller parts before feeding it through. 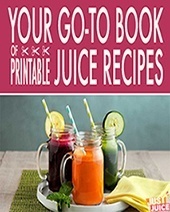 Apart from that, it's a great, powerful juicer that does a great job of juicing as well as a range of other functions like making fruit sauces, baby foods, nut butters, ice cream, sherbets and fruit smoothies. And try our favorite recipes to detox your body, burn fat, banish blemishes and more - all with nutrition facts and prep tips! 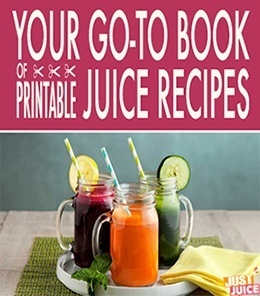 GET A FREE BOOK OF PRINTABLE JUICE RECIPES!